Over the next couple of months, many of us will be celebrating Mother’s Day in over 46 countries worldwide. Notably on 13th May for the USA, Australia and Canada to name a few. Linked to religious and cultural festivals across the globe, Mothering Sunday is a celebration of motherhood and maternal bonds. Royal Crown Derby’s extensive range of beautifully handcrafted Giftware and Tableware uses artisanal techniques unchanged for centuries, bringing quality and style to every piece from stunning archival patterns to unique modern interpretations, to ensure there is a gift to suit every style and say, ‘I love you’ this International Mother’s Day. Take a look below to find the perfect gift of luxury for your loved one this International Mother’s Day. Giving a bouquet of flowers is a popular gift choice for Mother’s Day but why not choose a wonderful floral pattern instead as a lasting memento for Mother’s Day. 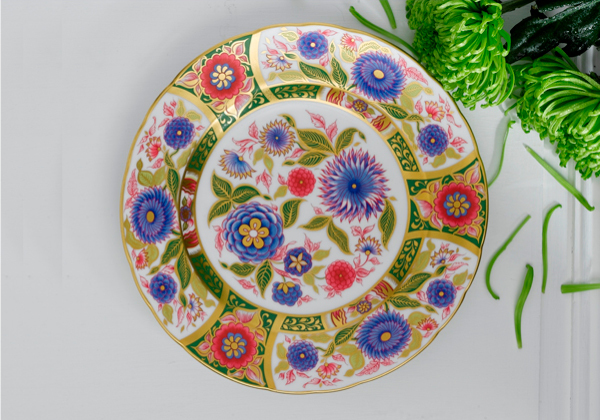 Royal Crown Derby offer a beautiful selection of fine bone china giftware, adorned in stunning flora and fauna designs, such as the Imari Accent Kyoto Garden Plate which features stunning blooms in contrasting bright tones of indigo, forest green and a pop of pink colours and finished with hand applied 22 carat gold. A perfect colourful gift in a presentation box. 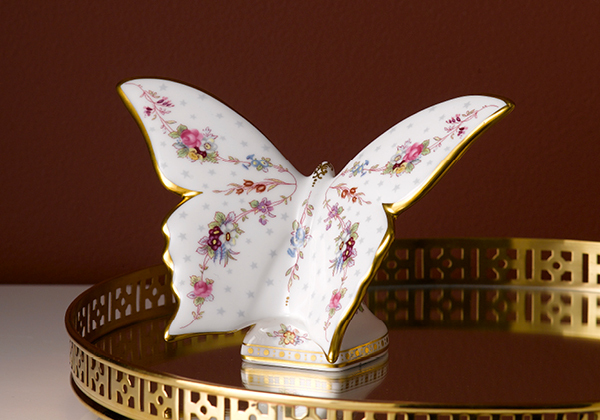 Adorned with the beautiful regal design of the popular Royal Antoinette pattern, Royal Crown Derby’s Royal Antoinette Butterfly displays a timeless elegance and quintessentially British design. Inspired by a pattern first created in the late 1800s, the spring-like delicate florals in a mix of tonal pinks complement the 22-carat decoration making the Royal Antoinette Butterfly a perfect floral Mother’s Day gift. 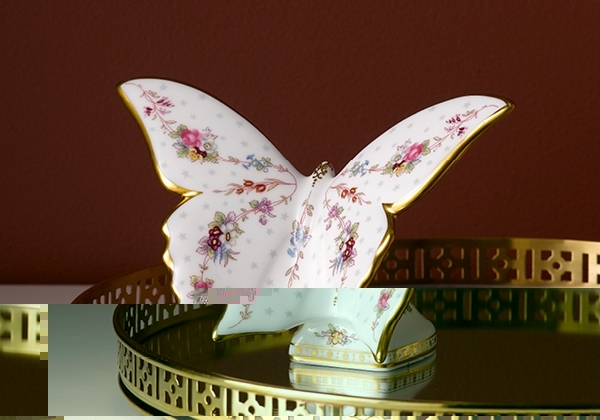 View the Royal Antoinette Butterfly here. Relaxing with a cup of tea in bed is the epitome of pure luxury, especially when served in stunning fine bone china. Why not pamper your Mother with an indulgent breakfast in bed using the Effervesce Pearl tableware collection. The collection features a playful textured-effect white on white pattern, with a design representing effervescent bubbles of fine Champagne, expertly finished in hand-applied platinum. A perfectly indulgent way for your Mum to enjoy this International Mother’s Day. 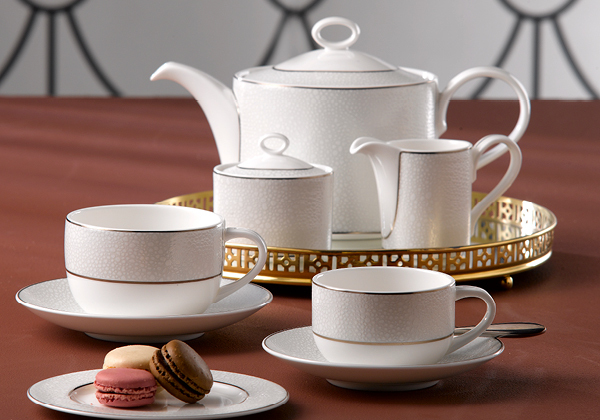 Explore the Effervesce Pearl Tableware collection here. animal-inspired giftware. 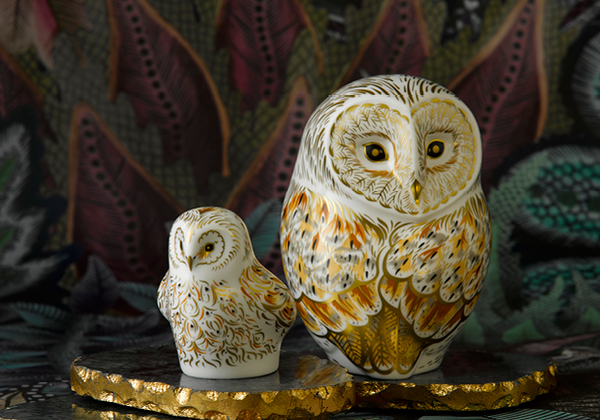 The Winter Owl, paired with the Owlet are the perfect gifts for any owl fanatic, designed to using warm tones of yellow, grey and russet tones in the same swirling pattern inspired by the playful characteristics of these stunning birds, finished in beautiful 22 carat gold highlights, creating a spectacular parent and child match. Treat your loved one this Mother’s Day with a special tea for two and spend quality time together whilst sharing a lovely cup of tea and an indulgent piece of cake served on fine bone china. The Darley Abbey Tableware collection is the perfect setting for a special tea time treat for Mum. An interpretation of an historical eighteenth century Regency style pattern, Darley Abbey captures the style of restrained simplicity using delicate lines and intricate curves representing twirling foliage and filigree leaves combined with 22 carat gold on a soft green silk damask background. The popular pattern is also offered in the more contemporary Darley Abbey Harlequin collection in pastel shades of baby pink, duck egg and lavender, perfect for any afternoon tea setting. Purchase the Darley Abbey Tableware collection here. 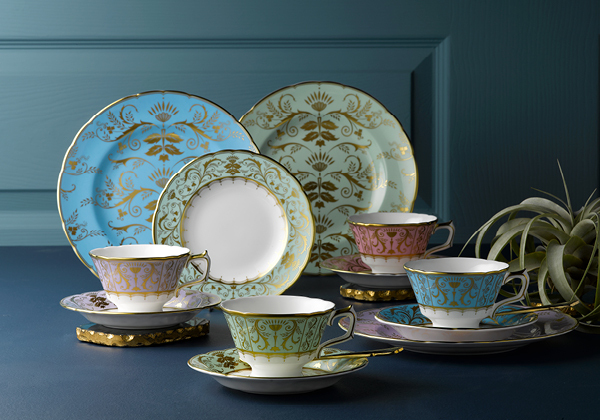 View the Darley Abbey Harlequin Tableware collection here.